A Whale Of A Salary Or Not? Summary: Various surveys provide insight into employees' salaries and job satisfaction. Some of the results are surprising. If you were wondering which animals are the largest of their kind in the world - wonder no more. 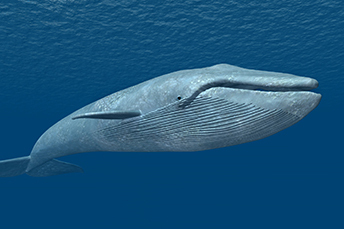 Live Science has ranked them and you might be interested to know the largest living animal in the world is the blue whale at 100 feet long. Other interesting critters include the biggest bird (albatross), rodent (capybara), fish (whale shark), marsupial (red kangaroo) and snake (reticulated python). In the world of banking, some employees may feel their salary is large, while others may not. To get a better perspective, we take a look at two recent surveys that show similar trends. A Robert Half survey finds 46% of workers profess to be underpaid, compared with 5% who say they are overpaid and 49% who feel they are paid fairly. Gallup, meanwhile, did its own study of workers' views on salary and found that 43% of workers think they are underpaid; 5% think they are overpaid and 50% say they are paid about right. The percentage saying they are underpaid is the same as it was 8Ys ago, when Gallup last posed the question. Interestingly, respondents to the Gallup poll say they are satisfied with their jobs, even those who feel they aren't paid enough. That said, it is important to keep listening, as employees that are griping about their pay today are a potential red flag for dissatisfaction and job hopping tomorrow. To get another perspective, consider a recent Glassdoor report that shows personal bankers make, on average, a base salary of $35,397 per year. Meanwhile, an hourly universal banker makes $14 per hour on average and a teller makes $12 an hour on average. While the applicability of these figures can vary based in part on a bank's location, size and various competitive factors, they are a jumping off point. What is the current market value of the position? Are there any differences to consider in my community (such as multiple job opportunities) when encouraging and/or rewarding your employees accordingly? Is it reasonable to consider an increase for my employee, based on performance? If so, how much should the increase be? If my employee doesn't get an increase, is there a risk that they will leave? How satisfied are my employees currently? How important is salary to my employees, considering all benefits provided? Banks will also want to consider the gender pay gap. Not surprisingly, women in the Robert Half survey were more likely to say they were underpaid compared with men (49% to 44%). Perception may not be far from reality, in this case. The US Census Bureau recently released data showing that women continue to make 80% of what men do. Banks may not be able to meet all of employees' demands when it comes to salary. But, staying on top of the needs of your employees could help to keep them satisfied with both their job and their salary. Mercator Advisory Group research finds 92% of all US credit-card purchase volume is currently charged on rewards credit cards, up from 86% in 2013 and 67% in 2008. This is a big issue, because large merchants like Amazon, Target and others are now pushing for the right to reject some of these cards. They are doing so because the rewards are paid for in part with higher interchange fees. Amazon surpasses national banks in consumer loyalty as it received a 47 in the so-called net promoter score, which measures the likelihood a user would recommend a company's services. This compared to 18 for national banks and 31 for regional banks. Bank of America Merrill Lynch stock strategists say stock market investors should not worry about the impact on stocks from the yield curve until the 10Y Treasury reaches 5%. They say that when that occurs, these risk free investments would be more valuable to investors and more attractive than stocks.